Enlightening (Residential Lighting Blog): Free Cookies in honor of 75 Years! Free Cookies in honor of 75 Years! Yes, now that it's March, Dominion Electric Supply has officially been family owned & operated for 75 years, and we think that's worth celebrating! But I wanted to specifically tell you about one of the fun things we're doing all month. Each week we are featuring a different local bakery. Come visit any one of our stores, counters or showrooms, and get a sweet treat! I was not very familiar with them, but they are a Baltimore legend. The Berger Cookie recipe was brought to America from Germany by George and Henry Berger in 1835. 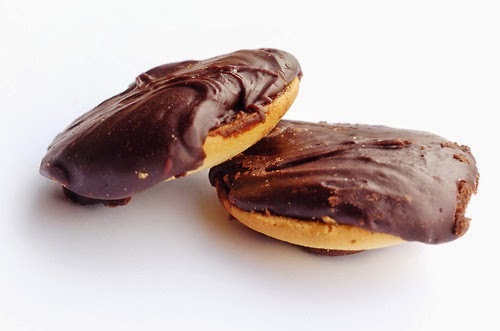 They are a shortbread cookie with a thick layer of chocolate fudge. Delicious! So come visit us, get a yummy cookie, and see what else we have going on to celebrate!